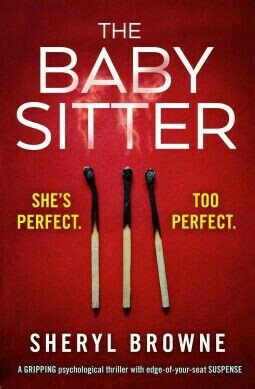 Never trust this babysitter ,ever, she's just plan out crazy , and dangerous. So know you know my thoughts about the babysitter let's know them about the actually story it's self, while it does pull you in and keep you hooked ,so much so that you have to know what's going on , it can at times feel a little slow pace then it spends up then goes back to feeling slow, it's told in the different views of the characters ( Mark, Jade, and Mark's wife plus one other). It does how ever have that thriller type feeling to it , the one that makes you want to stay up all night long just to see what happens next, it also makes you wound about why she's doing the things she doing , to find out who ,you have to read the book with that said I would like to think Netgalley for letting me read and review The Babysitter in change for my honest opinion. Can't wait to see what else this author comes up with.